The band rehearses in the Blarney Boys National school, Monday nights from 7:30pm until 9:30 pm. We’d love to see you there! If you already know how to play an instrument, please feel free to contact us as we are always happy to welcome new members. There is more information below should you wish to sign up for the band’s Music Education Programme and learn how to play. Or as a child, through a graded educational programme which includes playing with an ensemble in Junior Band. A certain portion of the individual Instrumental tuition (Flute, Clarinet and Saxophone) is supported by Cork ETB through the Cork ETB School of Music and its teaching staff. Access to these places is restricted to students from the Blarney Brass and Reed Band Educational Programme and fees for the individual instrumental lesson section is directly to Cork ETB through its’ online fee payment system. Payment of the remainder (Theory Classes) is directly to Blarney Brass and Reed Band Music Education Programme. No. The Band is offering the use of a limited number of the above instruments free of charge (for the first year) on a first come first served basis to those students considered to be most interested and committed. How does the band’s music education programme work? 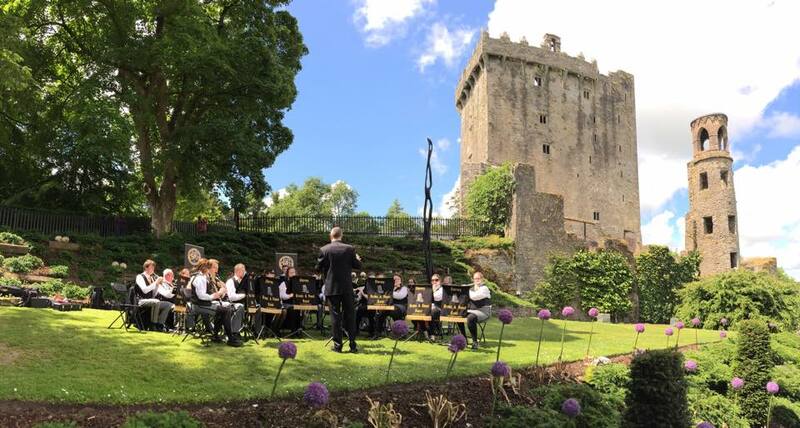 The basic goal of the band’s music education programme is to prepare children for participation in the Blarney Brass and Reed Band. Following enrolment, in the first year of tuition students learn how to read, write and play music in the weekly instrumental and music theory classes given by professionally qualified teachers from the County Cork School of Music. In years two and three students continue with tuition, participate in Junior Band and progress through to the Senior Band. What are the benefits of learning music for my child? Sending your child to learn music in the Blarney Brass and Reed Band’s music education programme will mean that your child will not only gain a new, very enjoyable hobby but also make friends in an environment which is friendly and which can cater for children with different levels of ability, ages and social backgrounds. How do I enroll my child or Join as an Adult Member? The band welcomes any instrumental students receiving tuition elsewhere who would like the opportunity of playing in ensemble to come and join us.